If you have a tooth or multiple teeth that are missing, don’t suffer with embarrassment any longer. Dental implants may be the right choice to replace your beautiful smile! Dental implants are the modern solution for tooth replacement. They are the preferred option for most patients because they feel like natural teeth. A dental implant is a small titanium post that is surgically inserted into the jawbone where teeth are missing. This post replaces the missing root. Another small post is attached to the top of the implant, which protrudes through the gum and provides a stable anchor for a crown. For most patients, the placement of implants involves two surgical procedures. Traditionally, the entire process takes about six months. During the first procedure, the titanium post that replaces your missing root is placed into your jawbone. For the first three to six months following surgery, the implants are beneath the surface of the gums, gradually bonding with the jawbone. During the second procedure, the implant is partially exposed then a small support post is attached. This post acts as an anchor for the crown, which is placed by your regular dentist. Dr. Green also offers a unique dental implant solution called the All-on-4 treatment concept. This procedure offers patients who need a full arch replacement a faster process for a fraction of the cost of other replacement options. During the procedure, four specialized implants are placed into the upper and lower jaw. An entire arch of teeth can then be snapped onto the implants. When you’ve lost most of your teeth, it can be difficult to find a cost-effective replacement option that restores both your smile and function. Options such as removable dentures or numerous implants are extremely expensive and can involve a long restoration and healing process. Many patients choose this option because it does not involve the placement of a full arch of individual implants or require the grinding down of adjacent healthy teeth to support a prosthesis. In turn, the amount of post-surgical discomfort, bruising, and swelling that many patients experience with other replacement options is considerably decreased with this technique. Additionally, the All-on-4 treatment concept is much less expensive than other prosthetic options, such as replacing an entire arch of teeth with individual implants. It allows patients to solve both their aesthetic and functional problems much more quickly. Increased Flexibility. The decreased healing and integration time allows the new replacement teeth to be attached to the implant base more quickly and avoid the delay that accompanies many other surgical procedures used to replace teeth. This allows patients to start enjoying the benefits of their new arch of teeth as soon as possible. Increased Functionality. The All-on-4 treatment concept anchors implants at an angle. This provides the highest ratio of implant-to-bone contact, ensuring that the replacement teeth are secure. Improved Clinical Results. Unlike other procedures, the All-on-4 treatment concept does not involve the grinding down of healthy teeth to cement a bridge or rely on the strength of any existing teeth to carry the burden of a bridge. Instead, this procedure utilizes minimally invasive techniques for implant placement, ensuring a rapid and less painful recovery. These implants will fully support the weight and function of the replacement set of teeth. Many patients who are unable to receive traditional replacement options, such as a fixed bridge, are still able to receive this unique treatment. 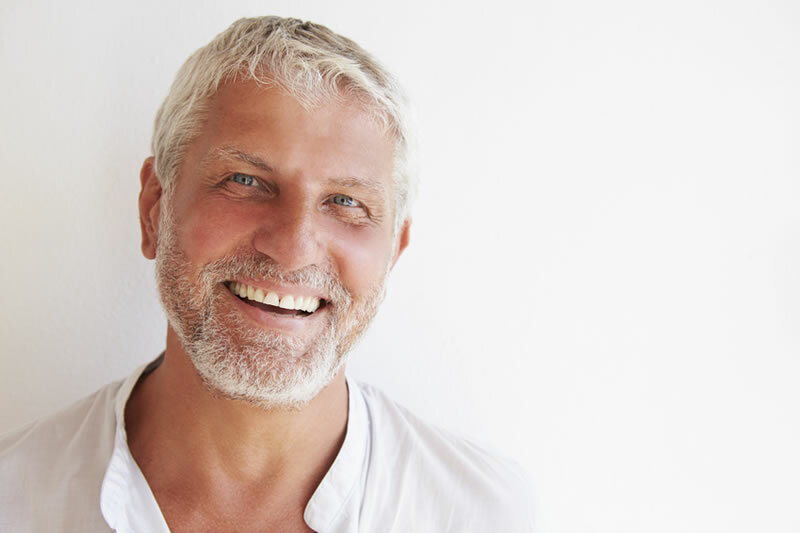 If you are on the verge of losing an entire upper or lower arch of teeth, have already lost these teeth, or wear a prosthesis such as dentures, we encourage you to discuss the All-on-4 treatment concept with us. Call (817) 237-7557 to schedule an initial consultation at our office in Fort Worth, TX. At North Tarrant Oral & Maxillofacial Surgery, we aim to provide affordable services without sacrificing safety or quality. During your consultation and evaluation, we’ll discuss the best tooth replacement option for you and provide you with a quote. 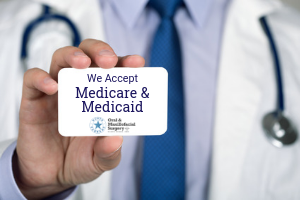 We offer competitive pricing and accept dental insurance, Medicare, Medicaid, and CareCredit. If you’re considering dental implants to restore your beautiful smile, call us today at (817) 237-7557 to schedule your consultation! We are conveniently located in the Saginaw area of north Fort Worth. All consultations available in Spanish.